Keyswatch Residential Services of Tavernier, Florida, has earned Accredited Member status from the NHWA for the second year. 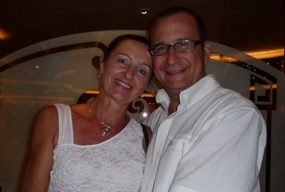 Since moving to the Florida Keys 20 years ago from Wisconsin, Michael and Zofia Klimpl have made many friends who are part-time residents. Over the years, they have heard stories of issues and unpleasant incidents people experienced while their homes were vacant. Michael and Zofia discovered that there was a need for a reliable, trustworthy service to keep an eye on these properties and to give the owners peace of mind that their homes are safe and that everything is functioning properly and in good repair while the homeowners are away. That’s why they decided to start Keyswatch Residential Services. Zofia was born and educated in Krakow, Poland. She has been managing private, part-time owners’ residences since moving to the Keys. Her strong work ethic and integrity have made her a valuable asset to her clients. Zofia’s experience working on-site exposed her to many of the issues that can happen to clients’ homes when they are not there. She has learned how to identify and manage these issues. Additionally, her experience working with clients to manage their contractors and vendors have given her the expertise to manage and oversee repair projects. Michael is from Milwaukee, Wisconsin, and graduated from Nene Collage in Northhampton, England, in the field of leather technology. He is a second-generation tanner who worked in the American leather industry as a plant manager, technical manager, and later as a technical sales representative for a specialty chemical and dye company for almost 20 years. The leather industry has since migrated out of the U.S., forcing Mike to make a change. He moved to the Keys in 1999 and has become General Manager for a successful 12,000-square-foot retail business. 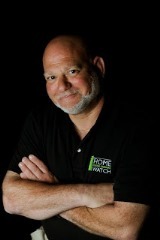 Mike’s business management and communication skills are key to giving Keyswatch Residential Services’ clients the services they provide, professionally and efficiently. Keyswatch Residential Services serves Key Largo to Lower Matacumbe Key. You can reach them at (305) 393-2839 or at info@KeyswatchRS.com. Learn more at their website, www.KeyswatchRS.com.